In this conclusion to J. 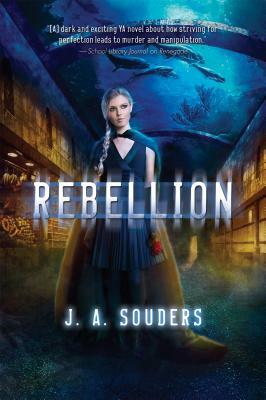 A. Souders's thrilling, twist-filled Elysium Chronicles series, Evie Winters and Gavin Hunter return to the isolated, dangerous underwater city that they fought so hard to escape. Back in Elysium at last, Evie has finally found her true self hidden under layers and layers of false memories implanted by the woman she knew as Mother. Thanks to the intervention of her father, she knows the horrible truth about Mother and her insidious plans for the city. With the help of the love of her life, Gavin, and her best friend, Asher St. James, Evie is determined to free her people from the cruel dictatorship of Mother's laws. But how do you free people who don't know they need rescuing? Working with the growing Underground rebellion, Evie tries to remove Mother from her position by force--with disastrous results. As the body count rises, Evie must find a way to save Elysium before Mother destroys them all. J. A. SOUDERS lives in Florida with her husband and their two children and is an active member of the Romance Writers of America, Central Florida Romance Writers, Young Adult Romance Writers of America, and Society of Children's Book Writers and Illustrators. She is the author of the Elysium Chronicles (including Renegade and Revelations).